Hello Folks! First of all we would like to thank you for visiting our website. Please find below all Word Trek Falcon Answers, Cheats and Solutions. This is a ver popular game developed by PlaySimple Games. 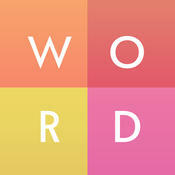 As it was previously known as Word Up, the developers decided to change the name of the game. No matter what, below you will be able to find all Word Trek Falcon Answers. Still can’t find a particular level? Drop us a comment and we will be more than happy to assist you!